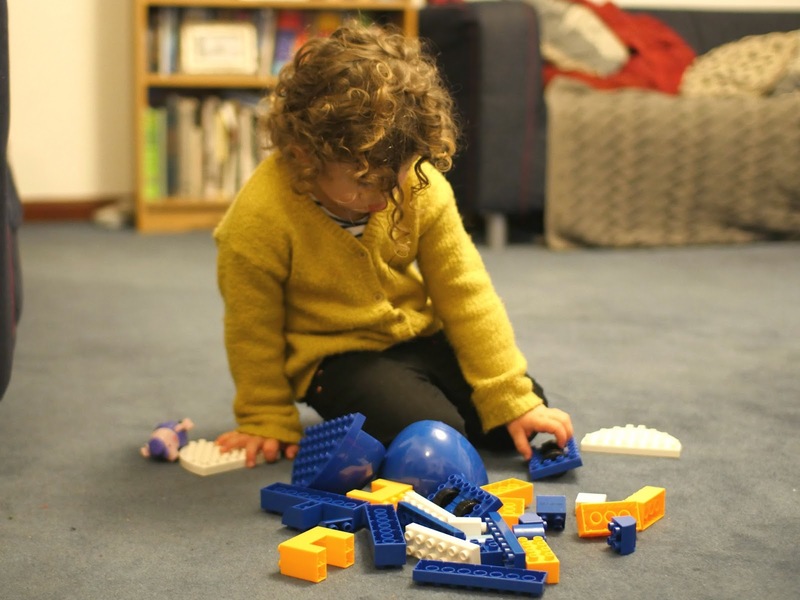 My children love building blocks, any time will do they all enjoy being creative and making something out of nothing. Even Son Son who loves to build towers and knock them down. 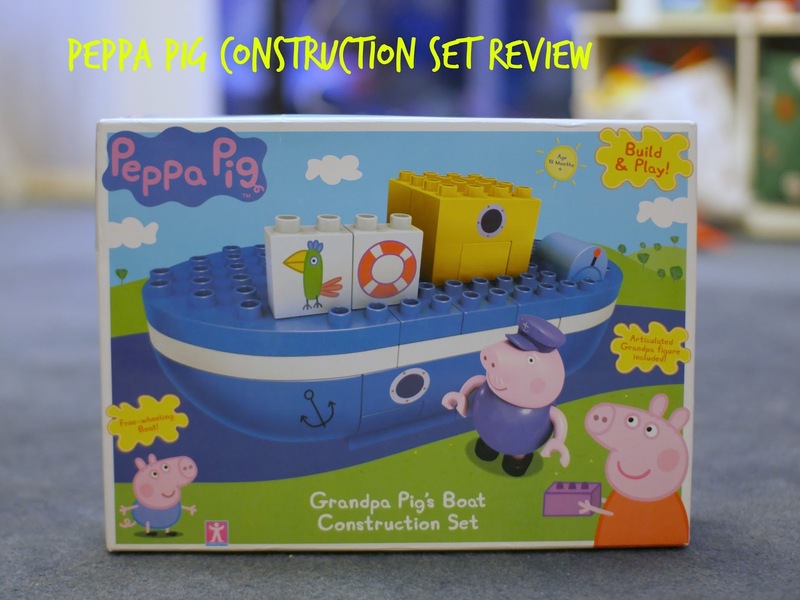 We recently got asked if we would like to review the construction Peppa Pig Grandpa pig boat and I knew it would be right up the two toddlers street. Inside the box contained many blocks and pieces to make Grandpas boat including grandpa pig himself. It also had the instructions on how to make it too which were easy enough for little children to follow. There is also a set of wheels built into the larger boat pieces meaning it can be moved along the floor easily. They had to learn how to put the bricks on the boat whilst holding it still as sometimes it would dip or move, which is rather funny to watch but Son Son didn't agree. Once built the set came with some stickers for some of the boat which they enjoyed placing on some of the bricks and themselves. It took a good twenty minutes to make with them (that did include making it a few times after them pulling it apart in between). 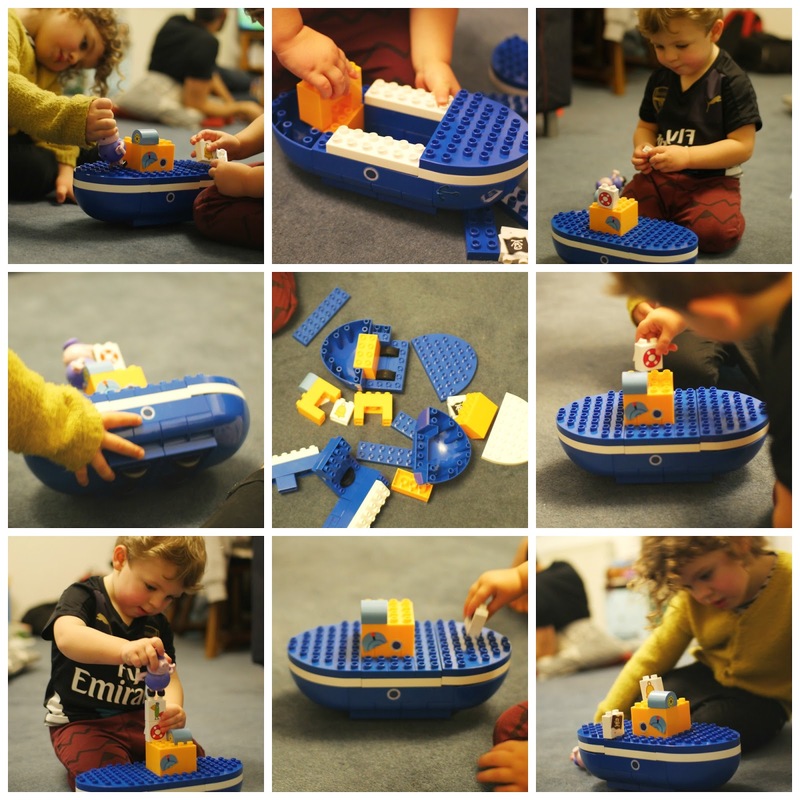 My Little ones have loved the boat and have also used other similar lego Duplo that fits on the boat to make a larger boat/ home/ boat dock for Grandpa pig. 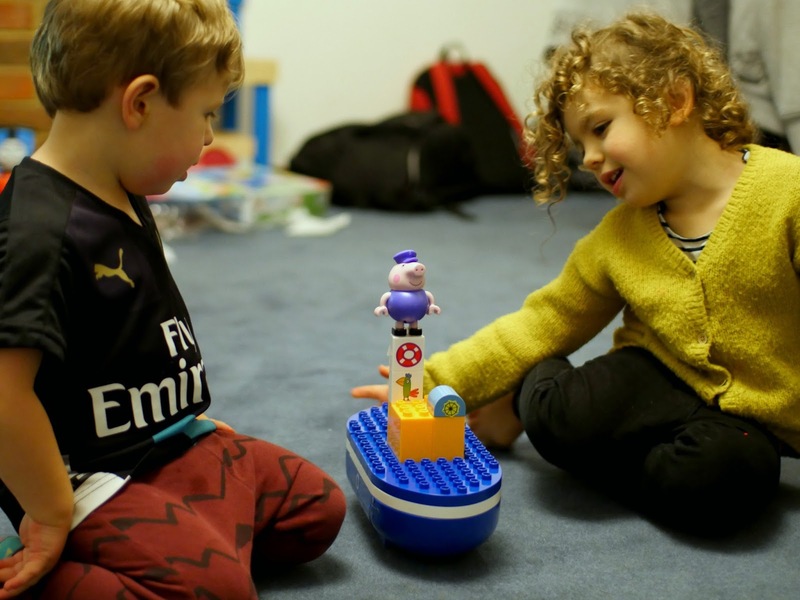 A great idea to encourage your children to be more creative and learn through play. 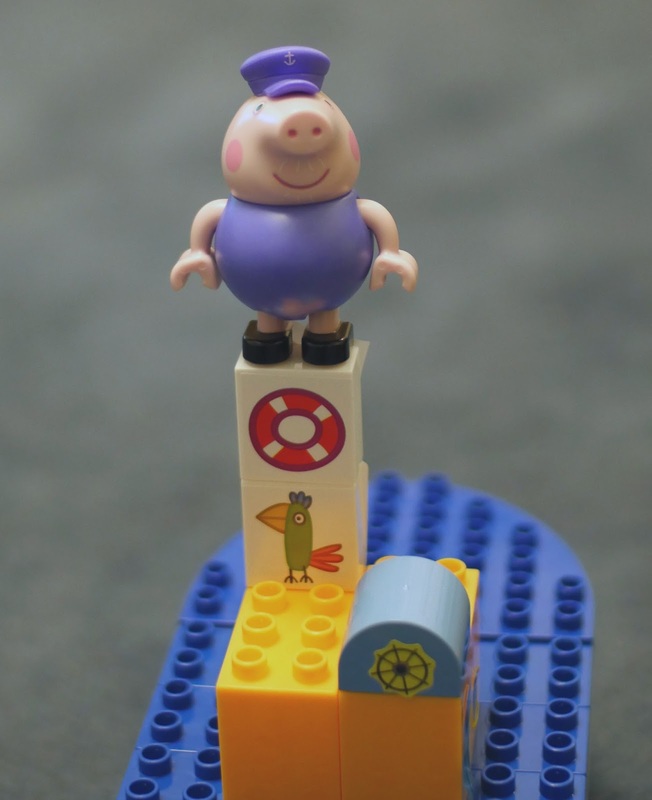 Any Peppa Pig fan will love the construction set. 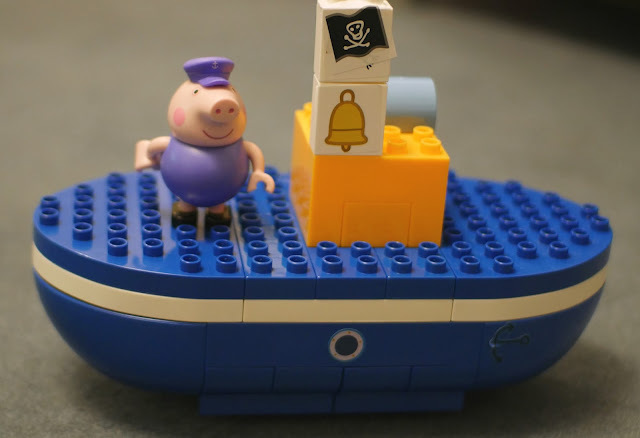 I know my children are itching for more especially a Peppa pig who can go on the boat. The boat costs £19.99 and available in most retailers. Diclaimer: We were sent the boatfor the purpose of the review, all writing and pictures are our own. You can't beat a bit of Peppa Pig can you :) We're going to see the theatre show in March, I've bought a little Peppa Pig doll in anticipation hehe. Lovely review and great photos btw. Thanks was using my husbands new camera, not as familiar with it than the old Canon!